Whenever we are in party mood our fingers lead us to where on our mobile phone? Straight into our music library, right? 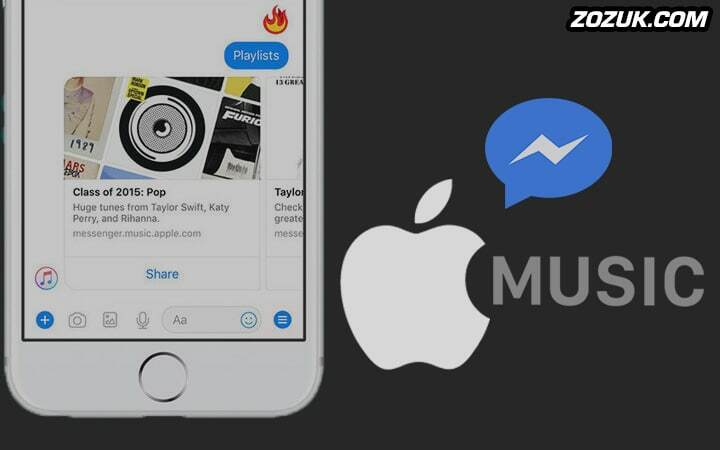 On 5th October Facebook announced a new Apple Music integration for Messenger available for their users. The Facebook messaging app was updated this week with an Apple Music bot that can recommend songs and playlists based on emojis you send or receive. It allows you to stream full songs, a first for the social network’s messaging service. You can build collaborative Spotify playlists inside Messenger group chats and Facebook’s digital AI assistant M would also recommend songs via Spotify based the content of your conversations. For each recommendation, the bot serves up an Apple Music link that allows you to listen to the songs within Messenger. 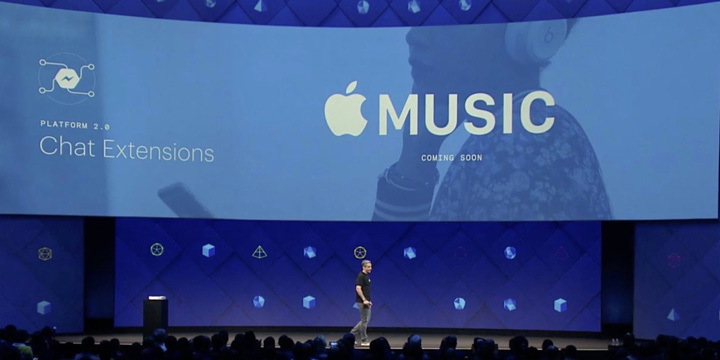 Of course, for Apple the goal is to drive more people over to its paid music streaming service, so with both new features, you won’t be able to listen to full songs unless you’re a paying subscriber. Even if you don’t subscribe, you can still preview and share 30-second clips of songs. And just having the recommendations on hand should be useful whether or not you want to pay for Apple Music. The new bot surfaces music recommendations based on your preferences — or whatever emoji you happen to be feeling that day. Send the bot an emoji and get back a selection of albums or playlists that match up. You access Apple Music by clicking the “+” sign from a one-on-one or group chat in Messenger on mobile and navigating over to the Apple Music extension. You can also interact with an Apple Music bot on both desktop and mobile by searching for it as a new contact in your friend’s list. The app also allows you to get music suggestions the old-fashioned way by typing in genres or specific artists or albums. Or, you can opt to see broader categories like new releases or editors picks. Facebook says sending an emoji to the chatbot will prompt it to recommend a playlist based on the nature of the emoji. Naturally, we sent the fire emoji and it suggested “It’s lit!” playlist. Sounds like it’s working as designed. Ok, first Samsung now Facebook great…. Haha.. it’s about putting the great pieces together.